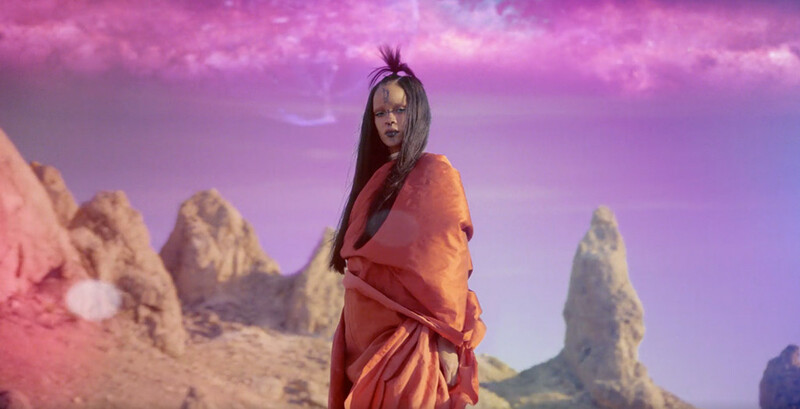 In a promotional trailer for the film, Rihanna explained that the track, co-written by Sia, sought to be, “big and impactful, dramatic [and] haunting at the same time.” She pretty much nailed it – it feels tone perfect. It’s a little orchestral, swooping, but with a strong enough chorus and verse pattern to be commercially successful. The song’s weakness, however, comes in pulling off the balancing act between these two sub-genres. As a dramatic theatrical piece? It’s a little weak, too much fuss with the lyrics while instrumentation takes a back seat. As a radio hit? The vocals aren’t prominent enough. I’m not sure it’s an issue which could have been solved by focussing on one element over the other; both are excellent, but both just need to be more. Is it her best song of the year? Not in my opinion, no. I’m a ‘Kiss It Better’ kind of girl. But what ‘Sledgehammer’ has is a sort of a 21-era Adele appeal, something that’s been missing from the charts for a while now and that only creeps in on Sia’s other recent offerings. It grows on you, and after catching enough airplay it certainly becomes a ‘belt along at the top of your lungs while driving’ track. When you’ve learned the lyrics, they sort of melt away, and the strength of the piano-and-bass instrumentation comes forth. It’s theatrical, weighty and – I hope, from one fan regarding another – contextually perfect. While it’s unlikely to escape the long shadow ‘Work’ has cast over 2016, ‘Sledgehammer’ is a song that makes up for any weakness in its clear and unadulterated love of its material.